We have fun projects this year you don't want to miss! Lowe's Workshops. Get your hands on power tools, learn new painting techniques and more! 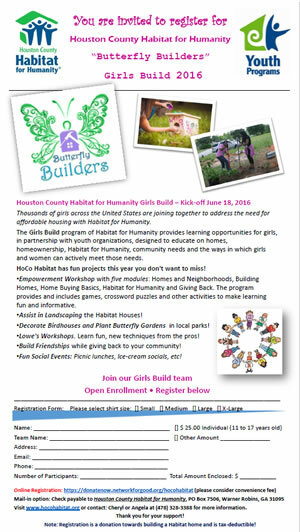 If you are interested in becoming a Women Build or Girls Build team member, please register below. We're also seeking artists and carpenters who may be interested in volunteering their services for these projects, if you know of any, please send us an email. 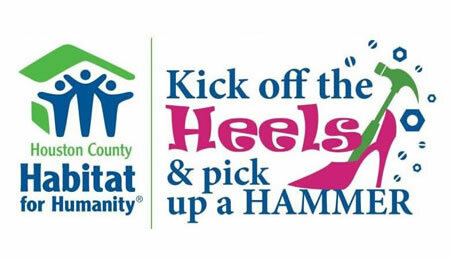 Sponsorship of a Girls Build hand-painted Birdhouse, Women Build hand-painted Bench or sponsor a Girls Build member will help build Homes, Hope & Community! Benefits of a sponsorship: Get an engraved sponsorship plate in your organization's name, individual, or in honor of that special someone on a Birdhouse or Bench at Wellston Trails Park. You will also get recognition on HoCo Habitat website and social media viewed by thousands! Yes I want to help! Count me in!